The Important Lesson about Life that Star Wars: The Last Jedi can Teach us All. “Whoa,” was my eloquent first comment. As the closing credits rolled, I crinkled my forehead. That’s not what I had expected. It really wasn’t. I don’t often find myself surprised by blockbuster movies. “Star Wars: The Last Jedi” turned out to be an exception. >> Someone from the dark side of the Force, Kylo Ren, was tempted by the light. >> Conversely, the protagonist from the light side, Rey, ventured into darkness to explore what was there. >> The seemingly infallible Jedi master, Luke Skywalker, not only failed his student, but turned him to the dark side. Simply put, the movie blurred the rigid boundaries between good and bad, and between light and dark. It introduced complexity into the conflict—a complexity that also exists in the real world. I love epic stories that pit good vs. evil. (Although I love epic and complex ones, such as Cloud Atlas even more). Humans seem to long for tales where light and darkness clash. And yet, these clashes can seem a bit infantile—because they are over-simplified. Movies or television shows with one-dimensional villains negate this complexity of life. They paint a picture that is black and white, when reality consists of various shades of gray. We tread dangerous territory here. Saying that different sides have different perspectives in a conflict doesn’t mean all of them are necessarily always equally justified, lest we end in a post-modern morass, with no single guiding principle left. The truth is, that to successfully navigate life, we need both complexity and simplicity. For instance, in a war, both sides typically have very different sides of the story (complexity). And, regardless of these perspectives, a violation of international humanitarian law is still a violation of international humanitarian law (simplicity). So, just because we acknowledge that every villain is the hero of their own story, it doesn’t mean we also have to see them as the hero, or agree with their actions. It just means that we need to grow out of a narrow-minded, binary perspective. 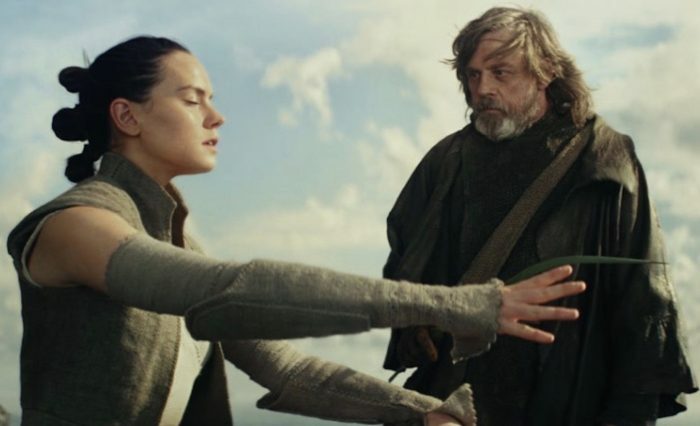 Of course, in “The Last Jedi,” Rey is a much better person than her counterpart on the dark side. And Kylo is not a total monster, just as Rey is not a saint. They are human beings with the ability to do good, and the ability to do evil, and on that spectrum, they gravitate toward different poles. Humans like to tell stories in binary terms—simple, plausible—and often false. The jerk who so rudely ditched our sweet friend? I bet the story sounds different from his perspective. And, even though our friends’ runaway partner has a different perspective, he might still be a self-absorbed, emotionally immature prick. “Might” being the operative word here. We can also look at history that way. For instance, in the legendary confrontation in ancient Rome between consul Marcus Tullius Cicero and senator Lucius Sergius Catilina (Catiline), was the latter the bad guy Cicero described him to be? Or did Cicero use his prolific oratory skills to paint him in an overly negative light? When we introduce complexity to a situation, it gets…complicated. And that’s not always comfortable. Binary black and white narratives tend to protect our ascribed worldview: I’m right, you’re wrong. We’re good, you’re bad. In contrast, more complex ones typically challenge it: Hmm, maybe I’m not as right as I thought I was? And maybe, just maybe, I can see your point? I believe one of the reasons “The Last Jedi” received such a mixed reception (critics loved it, the audience—not so much), is because it introduced more complexity to the conflict between the light and the dark side. And, people don’t always want complexity, least of all in their entertainment options. But, there’s often so much to gain from it too, including a better understanding of reality. True, this might require us to update our own worldview. But, why would anyone want to have an inaccurate worldview anyway? Hi Adam, Thanks so much for this very thoughtful comment. I love the perspective you shared, the depth you brought to this and all the layers you talked about. Thanks for sharing! I would venture that plenty of people desire an inaccurate worldview. Some turn to faith in magical thinking, some do drugs or meditation to better see the world as it is or even as it isn't. Some people just enjoy the allegory and escape of fiction as it casts whatever perspective we want onto the truths to be conveyed. Some prefer their news to be reported to them straight, others like their opinons to be formed entirely in advance, filtered and colored by ideology before presentation. Some just want to live through their lives without the weight and gravity of of the events and concerns that lie outside of their scope and scale. People truly ENJOY entire spectrum of what is real and what is imaginary. 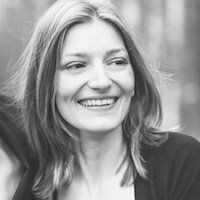 Bere Blissenbach is the founder of Work You Love Coach. Like you, there is a lot more to her story than would fit into a few sentences. Her life experience includes living on three continents, working as an attorney on high-stakes international cases, qualifying for judicial office, receiving a PhD—and changing her entire life. Today, Bere helps people step more into their authentic leadership and connect with their passion, something that truly excites her. If her articles resonate with you, she would love to connect with you. Bere’s website offers free resources on creating work you love. You can also follow her on Facebook.